It was very unusual to see him tired. I always had a tough time to put him to sleep. He was very active and never complained of feeling tired. Two weeks ago, he fell sick and I never thought anything serious but he became weak and he couldn't eat anything. I took him to a local hospital and doctors told me that he has dengue. 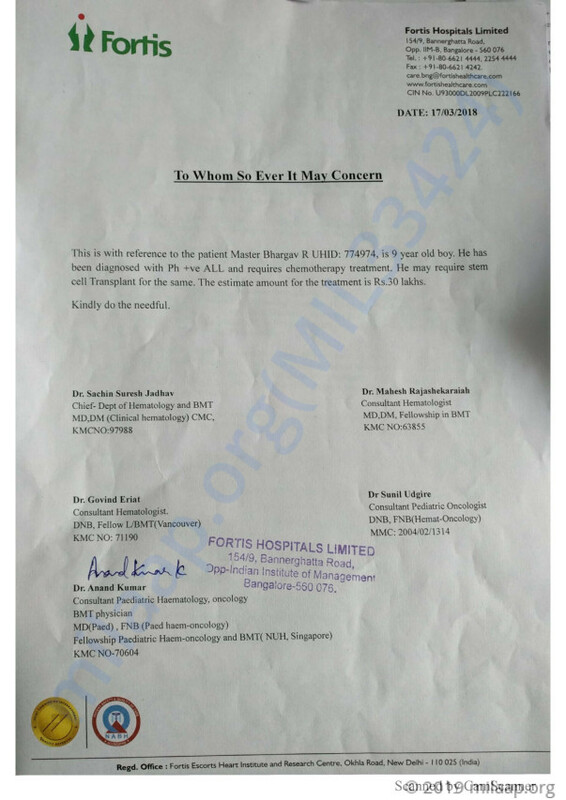 He was given medicines but it did not help him. I grew anxious when he his condition deteriorated. Bhargav loves art, he is always curious to learn new things. He always asks thought-provoking questions. He spreads positivity everywhere, there is nothing negative about him. He is my world, he has always made me feel blessed and proud from the day he was born. Now I feel like my world is slipping away from me with every passing moment. My son is only 9-years-old and he is fighting for his life. I rushed him to hospital. A series of tests were taken. The doctor called me inside and asked me to sit down. I knew it is never a good sign. He said he has some concerning news. My heart was skipping fast, I was already in tears. I didn't want my son to go through any pain. I was totally devastated with what I heard next. He said, "your son has cancer". My world fell apart. I was terrified at the thought of telling my husband. I asked him to come to the hospital immediately. I know nothing can prepare him to digest this. 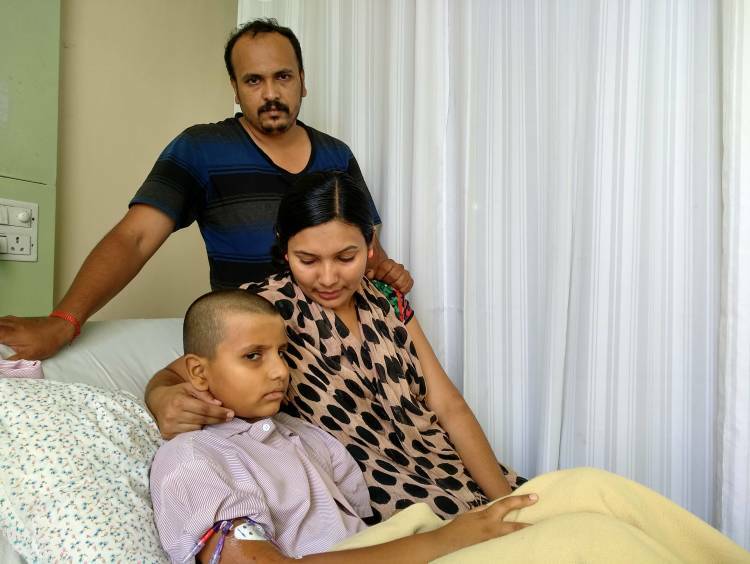 When I said "Our son has cancer", he almost collapsed and we cried together. We felt as if all the nightmares have rolled into one. I started imagining him bedridden, with that painful chemotherapy and his hair falling down. I couldn't believe that my son has to go through all this. Those days were not very far. He already started to react to the medicines and high dosage of antibiotics. 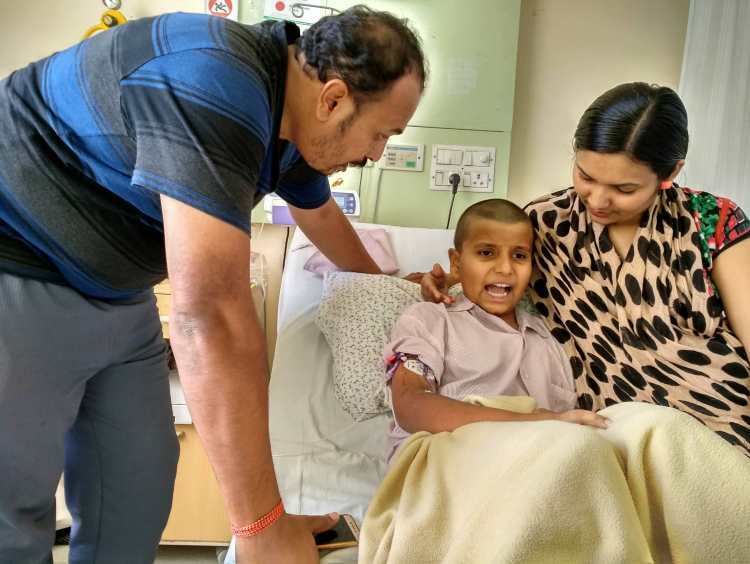 Bhargav was always a happy person, his needs were also very small. He never demanded anything. Now he has lost his patience, he is annoyed with everything. He doesn't understand why he has to be in the hospital and take so many injections. I don't know how he is going to cope up for the next 6 months. He needs chemotherapy twice in a week. His world will be this hospital room. I cannot bring myself to tell him that he needs to be in the hospital for 6 more months. Nothing can convince him. He is angry with me for not letting him play. When he gets tired he begins to cry. Slowly, fear is creeping in him. He has started asking so many questions for which I don't have any answers. I'm worried about the physical changes and most importantly his mental health. It is so painful to see him in this condition. 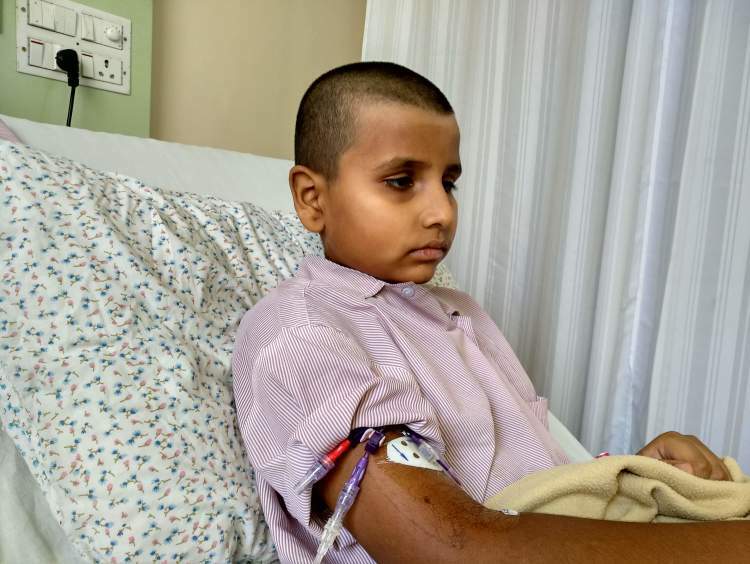 Doctors said that chemotherapy alone will not help him, he needs stem cell transplant to survive. We have a long painful journey ahead and I shudder at the thought of my son going through his pain. I'm willing to do anything to take away the pain from him. My husband is a mechanic and with the meager income, I don't know how we are going to manage the expenses. It is very exhausting both financially and mentally. Bhargav is our only child, he is our world. I have always thought I'll give him the best and raise him a happy person. I never knew that I have to come to this stage where I'm helpless when he is fighting for his life. My son deserves a life. I can't imagine losing him at any cost. 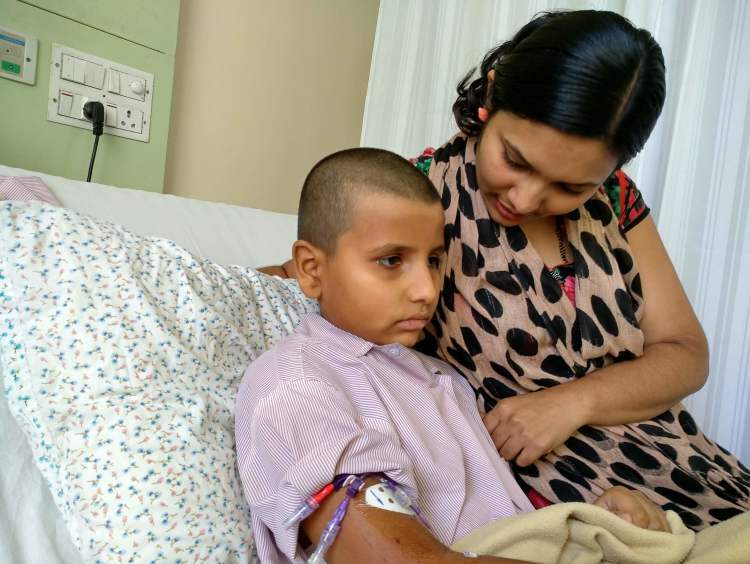 He needs chemotherapy and stem cell transplant to survive which costs Rs 30 lakhs. All we have in our life is our son, his everything to us. Your support can give him a chance to live his life. Please support me to save my son! Bhargav is doing well. Bhargav undergoing his treatment. He is responding well to the treatment and recovering. Bhargav is doing well. 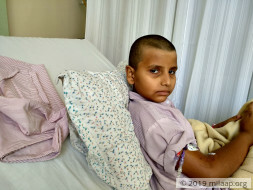 Bhargav is on maintenance Chemo therapy. He is responding well to the treatment and recovering. 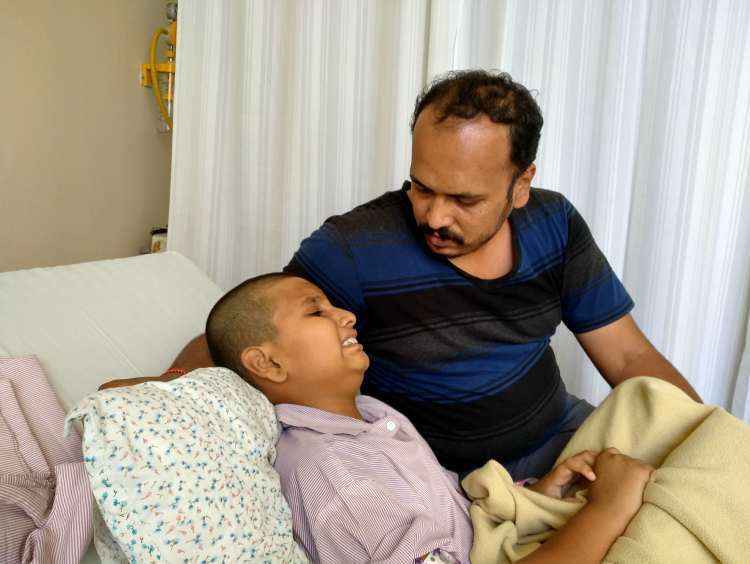 Here's a quick update on Bhargav. 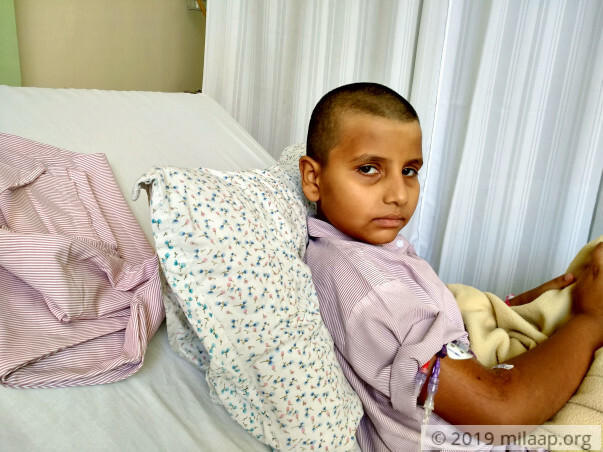 Bhargav is on Maintenance Chemotherapy and is doing well. We shall keep you posted.